Dear Bijou . . . I have received (beaucoup) lettres from very enthusiastique tanglers from here and beyond my imagination. One letter, from C(zed)T 10, Mademoiselle Marty D, tres magnifique, sends me her drawings of three wonderful cousins, "Bibi, Nina et Margot" who I have not seen in some time (they are so very slow to correspond . . . ugh, snail mail!). But I have much work to do now that I am a, how you say it(?) "Blogger." I have a special little beret I wear, when I am at work at Z Centrale, with my new friends in Whitinsville. I love my work, but prefer to just tangle all day in the sunshine, wouldn't you! Mais oui, certainement. 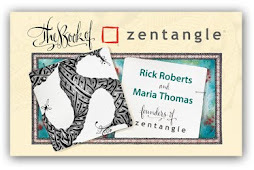 Here are some Zentangle creations and comments that will bring joy and a smile to even the busiest of you. Loving your little tiny tiles so much! Here's a sampling of them with a few of your cousins (they miss you so much) . . . Bibi, Nina and Margot! With special thoughts of you . . .
Marty and your dear cousins. This morning we watched a stunning video from Nature - The International Weekly Journal of Science, showing superclusters of galaxies. It's a short video. Short enough that I suggest you first watch it with the sound off just to appreciate the imagery . . . an imagery of tangles drawn by strokes of galactic trajectories, within three dimensional strings of universal scale, creating mosaics with other superclusters. Our world is awash in patterns. This video suggests the same for our universe. Our night sky displays one perspective . . . but step back a few fractals and appreciate the elegant patterning of supercluster tangles dancing within cosmic boundaries of 3D strings (nicely displayed at 3:00 in this video). "Laniakea" translates from Hawaiian to English as "Immeasurable Heaven" . . . how wonderfully reassuring. 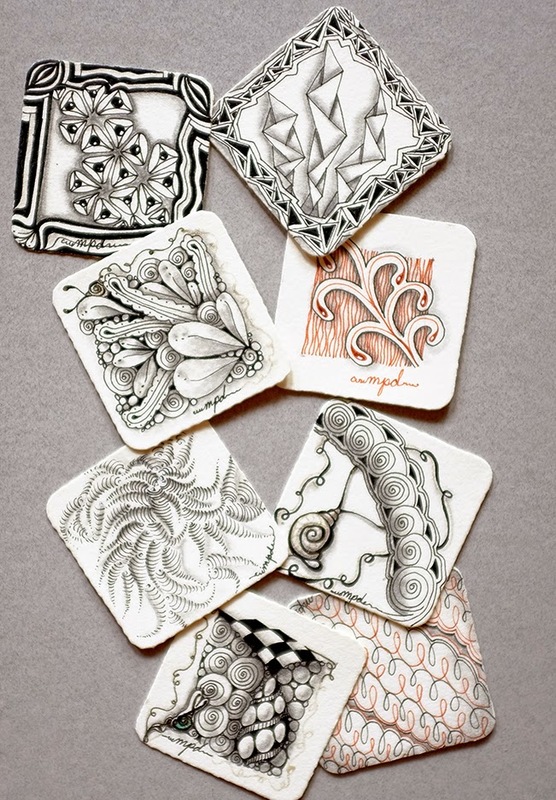 A dear friend of ours and CZT, Sarah Del Mastro, recently posted these on her blog. We thought you would enjoy them! Bijou etait a la plage! 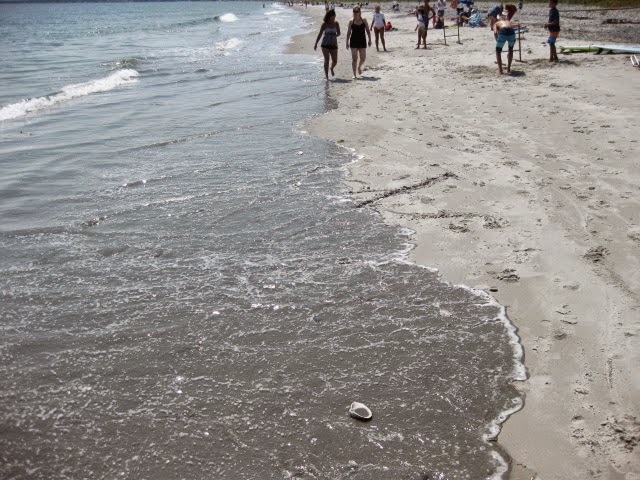 What/Who IS that coming out of the sea onto the beach? Thanks to everyone who added such wonderful comments to our recent "Stuck Up" blog post. It's always nice to "see" everyone's voice over the waves. If you haven't already, please take a moment to read some of the great ideas that posters offered on that blog post. As promised, here are a few names we picked at random to send some "Bijoux" (translated from the French word for Jewels) your way! 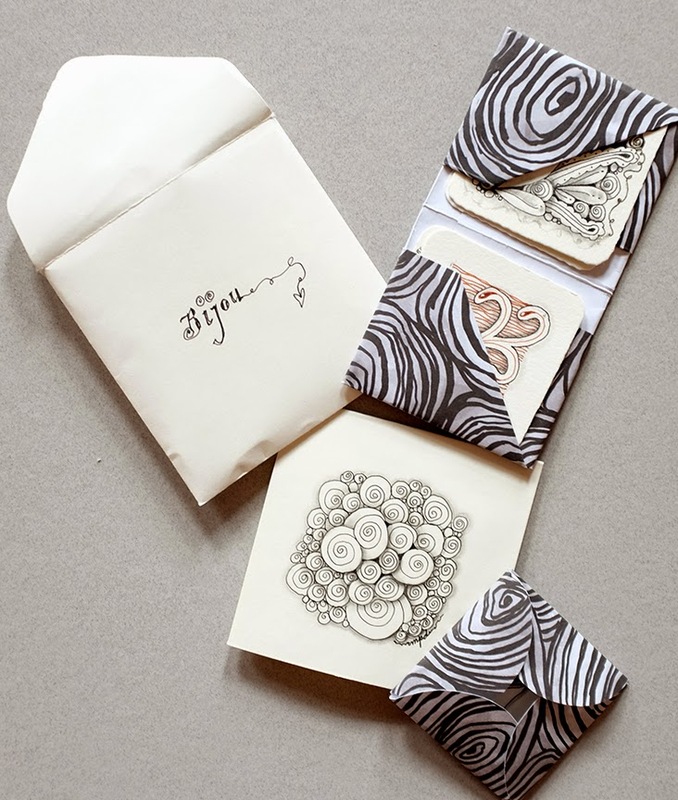 Please contact Bijou (he insists on helping) at bijou (at) zentangle.com to give us the snail mail address to send you your "Bijou" tiles!